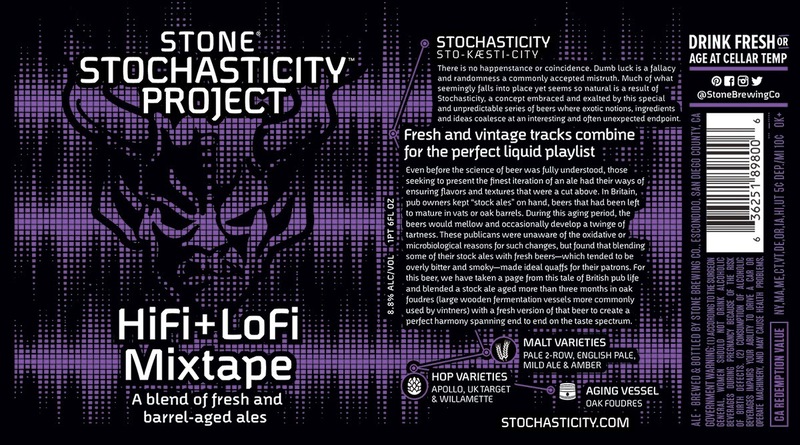 The latest experimental offering from the Stochasticity Project looks to traditional, English-style stock ales for inspiration, while incorporating modern-day ingredients and brewing techniques. 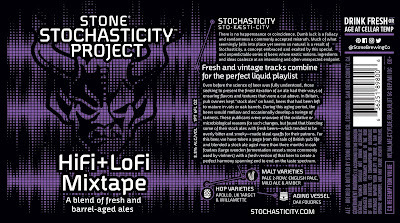 A creation cleverly dubbed Stochasticity Project HiFi+LoFi Mixtape, the final beer is composed of 80 percent fresh English Ale (LoFi) blended with a higher-ABV version (HiFi) of the same beer that was aged for several months in red wine-infused oak tanks (referred to as “foudres"). Starting today, the historically-inspired release will begin arriving in 22-ounce bottles and on draft at select retailers nationwide. Stock ales were mainstays at British public houses in the seventeenth and eighteenth centuries. Known as “beers for holding,” they were stored in oak casks at the breweries or pubs. Because they were typically higher in alcohol than the majority of English beers, they could be aged for prolonged periods of time, during which their flavors would become rounder and more mellow. Rather than serve the stock ales straight up, pub owners would blend the matured stock ale with fresh ales, to help smooth out the latter's rough edges. 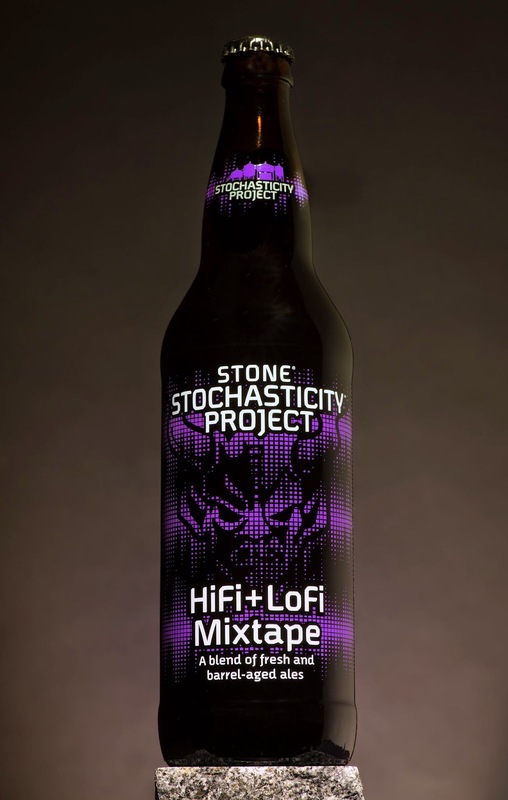 Brewmaster Mitch Steele aimed to recreate this blended style of beer with Stochasticity Project HiFi+LoFi Mixtape. By blending an extremely fresh, low-alcohol version with a higher-alcohol version of the same ale, the result is a one-of-a-kind, multi-layered beer bringing forth a variety of flavors ranging from toasted malt and light berry nuances to English grains and yeast. Woody, earthy bitterness is present and made possibly thanks to English hop varietals—Fuggle and Target. Tannic grape flavors and aromas are also present thanks to the stock ale's time spent maturing in foudres, previously used to age Northern Californian red wine. This is the first beer from the Stochasticity Project to utilize such artisanal storage vessels. Stochasticity Project HiFi+LoFi Mixtape is a one-time, limited release that should be enjoyed fresh.